Parimala Gandham is elite liquid. Goddess Mahalakshmi blessings can be achieved. Loans will be repaid, health problems will be vanished, children will be improved. Pour one drop of liquid on a small peice of cloth and worn to deity. It is used in all deities pooja and marriages by mixing some drops of this liquid in akshitas. (Parimala Juvvadi) : It is frangrance powder, it is used in Hindu Traditional poojas. It can be mixed with kumkum or turmeric. It is beloved by every deity. Kunkumarchana and Abhishekam can be performed with Juvvadi powder. By performing pooja with this mixture god and goddess blessings will acquired. 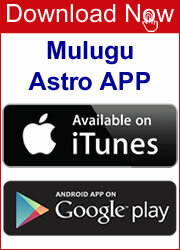 Ashta Mulika Oil is used for lightning Diya's before deities and it is best for lightning. This oil is prepared by mixiture of lifelong herbs with Lakshmi Tamara seeds, kasturi benda, shiva maredu, vishnu maredu, lakshmi maredu etc purified essence tree seeds. It is prepared dring good day, tithi, nakshatra, week and yogam. It is the pleasing oil to all deities. By lightning with this oil will be blessed with wealth, good health. This is anti radiation oil. Keeping this Yanthra at Your Pooja Room Gives you free from all Financial difficulties . 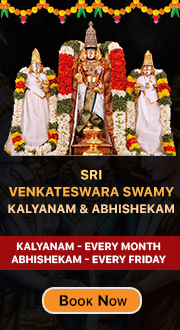 And Your Family wiil be Free from all Financial Crisis and Get Relieve From all your Debts Get Good Results ,Success by devoting this yanthra on Every Friday with Aaraavali Kumkum. 4. Removes Negative Effect, Black Magic Powers. Kumkumalu is a powder used for social and religious markings in Hinduism.It is a sign of purity.Kumkum is most often applied by Hindus to the forehead. The reason for this particular location has to do with the ancient Hindu belief that “the human body is divided into seven vortices of energy, called chakras, beginning at the base of the spine and ending at the top of the head. The sixth chakra, also known as the third eye, is centered in the forehead directly between the eyebrows and is believed to be the channel through which humankind opens spiritually to the Divine. The Kukumas will be prepared at our point .we will use pure ayurvedic ingredients while Preparing. we will offer rupulu according to your astro report .we have different Rupulu like Indrani Rupu, Kalabhavirava Rupu etc .By wearing our product your life will be happy .Calm, peace percent will be high. we have a great positive feedback from our customers .The problems will be thrown away .Your life will study and consistent . Yantra is the Sanskrit word for "Magical instrument" .One usage popular in the west is as symbols or geometric figures. Traditionally such symbols are used in Eastern mysticism to balance the mind or focus it on spiritual concepts. The act of wearing, depicting, enacting and/or concentrating on a yantra is held to have spiritual or astrological or magical benefits in the Tantric traditions of the Indian religions. Siddanthi garu Prepare Yantralu by offering great pooja. You will Experience Positive Result with our product. Cotton is used to make cotton wicks while lighting the lamp (Nandadeep, Niranjan or any other) and is thus, the most integral part of the daily or any other festive Pooja. Another usage of this packet of cotton is as a symbolic form of clothing. When the ritualistic "Abhishek" or 'Snana' of the deity is performed, a packet of cotton is offered as a symbol of clothing.